Adidas loves to collaborate and some of their most popular creations have come thanks to partnerships with brands like Bape and Neighborhood. Both brands are Japanese streetwear giants so it only makes sense that Adidas would want to make some dope creations with them. An impending collaboration has been teased for months and now we finally have a concrete release date for this sneaker pack. Two shoes will be released in the pack, a Pod s3.1, and an NMD STLT. The first shoe, the Pod s3.1, is interesting as the colors are split completely in two. One side is black, while the other is silver and boasts camouflage imagery that has the Bape gorilla logo as well as the Neighborhood skull and bones design. 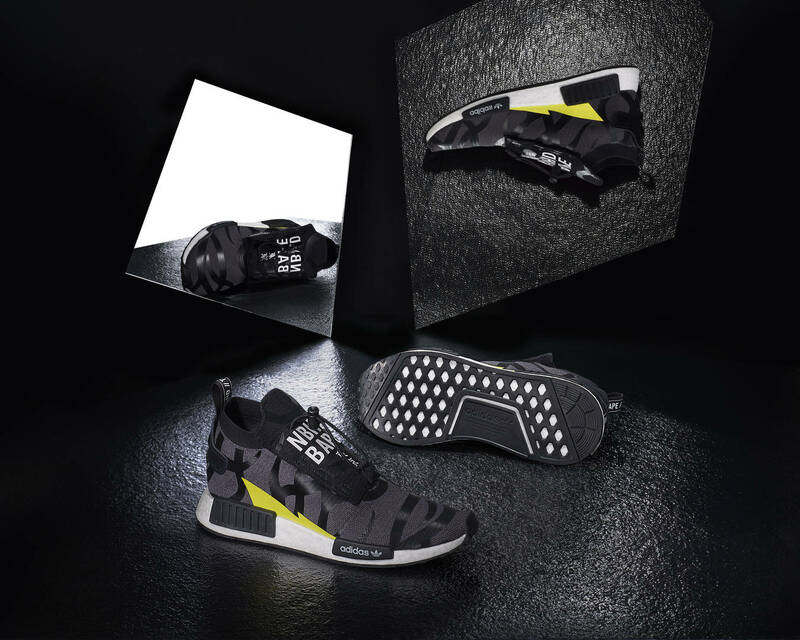 Bape shark teeth can be seen along the side, making these a visually stunning shoe. Meanwhile, the NMD STLT brings the utility vibes to the popular NMD silhouette. 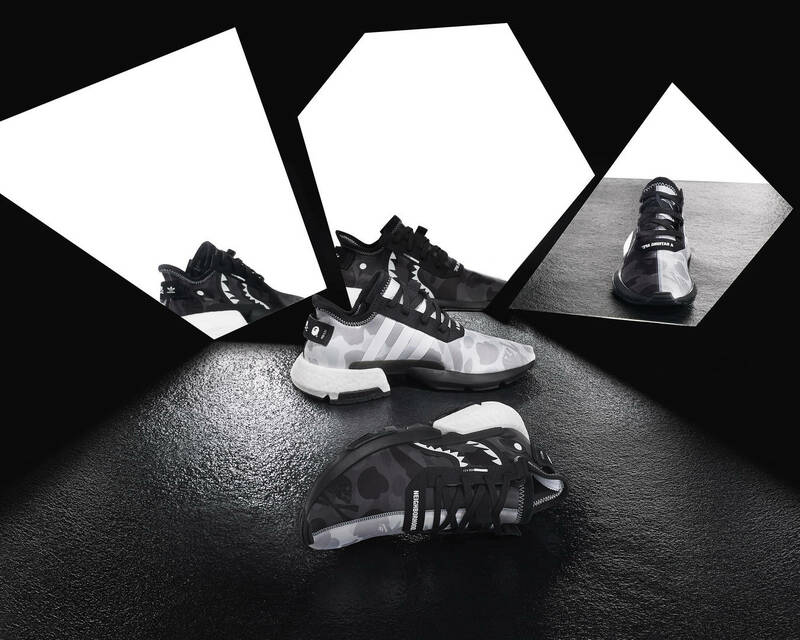 Bape and Neighborhood brandings appears across the top, while a simple dark grey and black primeknit upper helps flesh out the minimalist design. With a small hint of yellow on the sides, the NMD STLT is injected with some subtle color. If you're looking to cop either of these shoes, they will be available as of April 19th.